Over many years the Nobility have ruled their kingdom and the surrounding land with an iron fist from the safety of their fortified castle, complete with turrets and ramparts. They have successfully maintained strong defences, but recently the cracks have started to appear. In their crusade to overthrow the oppressive regime, the outlaw community has banded together to become a force to be reckoned with. There are daily attacks on the two-storey castle, and the outlaws have proven they won’t give up until fairness is restored throughout the land. Will the King’s army be able to withstand the carefully planned attack from the lower classes in their attempt to seize control of the castle? Lead your team to victory as you work your way past heavily guarded castle walls to raise the flag for the people. Attacking team – keep up communication lines with your comrades at all times and to carry out a coordinated attack on all sides of the castle. 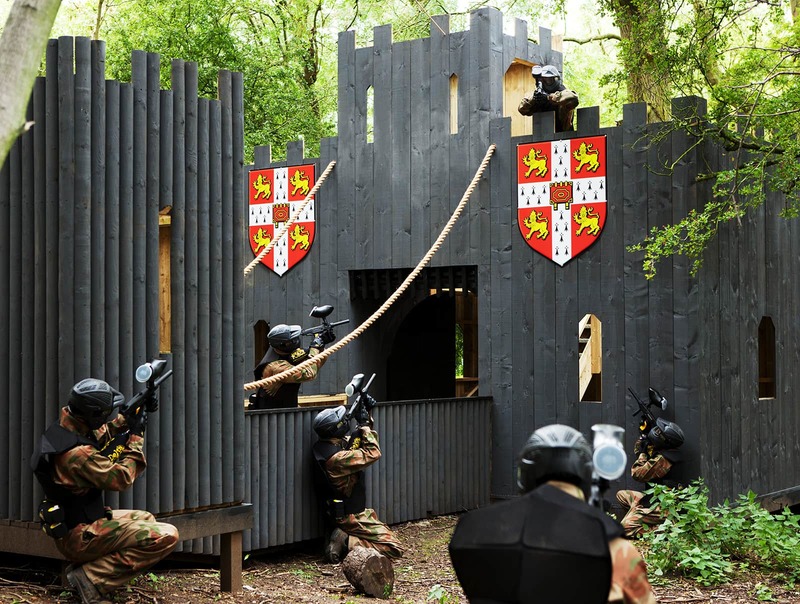 The defending team need to keep a solid defence from the upper levels of the castle to stop the attacking team approaching.